Jean Bedford’s first book Country Girl Again, a collection of short stories, was published in 1979. This was followed by the novel Sister Kate in 1982, another collection of short stories (with Rosemary Creswell) and seven further novels. She has been widely anthologised and has also been commissioning editor for several collections of fiction and non-fiction. She was born in England and came to Australia as a baby. She grew up on Victoria’s Mornington Peninsula and went to university at Monash and UPNG. She has worked as a teacher, journalist, editor and publisher, and has lectured in creative writing at several universities, most recently UTS. Her career has included being Literary and Arts Editor for the National Times and a literary consultant for Australian Film Commission. 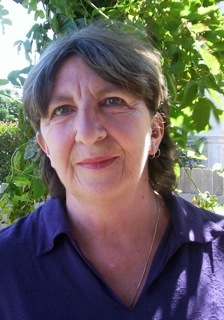 She has been the judge for many literary awards and prizes, including the Australian/Vogel Award, the NSW Premier’s Literary Awards, the Australia Council and the Nita B Kibble Award for women’s writing. She is co-founder and co-editor, with Linda Funnell, of the online review journal the Newtown Review of Books and a Board member of the NSW Writers’ Centre.